okay, I have to get something off my chest. As some of you may know my little family and I are moving to Mexico at the end of May. As to make the drive down there a little easier we decided to ship some book, photo albums etc. down through Fed-Ex. We have a friend who used to work for them and was able to get us a great discount on the shipping. My sweet & beautiful Princess! Hyrum giving Baby Hayden some advice! The Day Hayden was blessed. A very happy day! 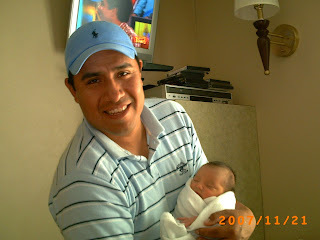 I was very happy to have my beautiful little girl as well as to not be Pregnant... 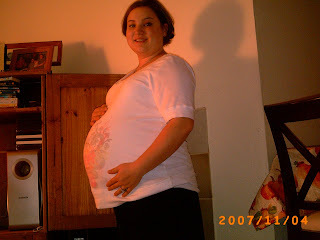 I'm not my best when pregnant... my poor family! 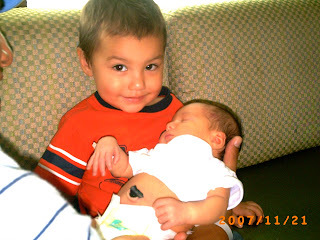 Hyrum is a proud big brother... wasn't sure what to make of this new little person!? Oscar couldn'thave been more happy and proud to finally have his baby girl... as he used to want all Girls... 5 to be exact... that's changed... he loves is Big boy Hryum w/ all his heart! 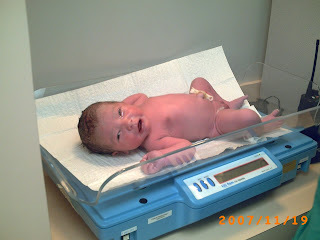 Hayden Starr Santiago was born Nov. 19, 2007 at 12:05pm @ 7.5lbs. & 20.5 inches long. She's so very happy to be in the world in this pic. 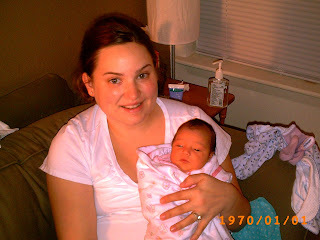 As you many of you may or may not know... we had Baby #2. This was me... at my petty much Biggest. Loverly... I know.